Our date night = Netflix and chill. Celebrity date night = the Baftas. While Valentine’s Day for us mere mortal coupled lot may consist of opening up a last minute petrol station bought card and an Indian takeaway, the A-listers like to do things a little bit differently. When it was announced that the Baftas and Valentine’s Day would coincide, we personally couldn’t wait to see which stars were going to bring their partners along for the red carpet ride and it’s safe to say we were not disappointed. Despite the cold – nay, freezing weather – the stars and their guests came out in force with everyone from Tanya Burr to Eddie Redmayne bringing along a plus 1 to the event. 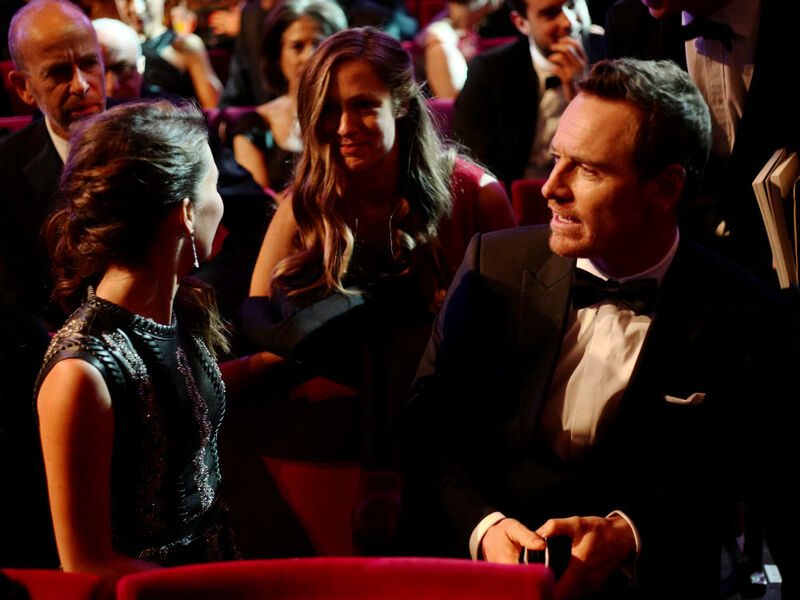 Publicity shy couple, Alicia Vikander and Michael Fassbender – who are both nominated tonight – may have avoided being pictured together on the red carpet but were caught out inside where they were sat next to each other for the ceremony. The couple were catching up with Eddie Redmayne’s wife, Hannah Bhagshawe. While she may be heavily pregnant, Hannah still donned her glad rags to show her support to her beau, Eddie Redmayne. Hannah wore a stunning red gown for the event while Eddie went for a classic tux. It’ll be fingers crossed for everyone’s Brit boy tonight who will be battling it out for the Leading Actor nom for his portrayal of Lili Elbe against the favourite, Leo as well as Michael Fassbender, Bryan Cranston and Matt Damon. If Eddie is to win, it’ll be the second year in a row that he would have scooped up the award after winning last year for his heart-rendering take on Stephen Hawking in The Theory of Everything. Supporting Actor nominee Mark Ruffalo and wife, Sunrise Coigney proved they were more in love than ever making their way down the red carpet together arm in arm. The couple who have been married 16 years in June are often seen out supporting each other and spent the entirety of the awards ceremony Instagramming cute photos. You guys! Steven Spielberg bought along wife, Kate Capshaw who he met when he cast her in Indiana Jones and the Temple of Doom and then married in 1991. The couple gave us serious #RelationshipGoals (and not to mention #BangsGoals) with Capshaw looking lovingly at her hubby while walking the red carpet. 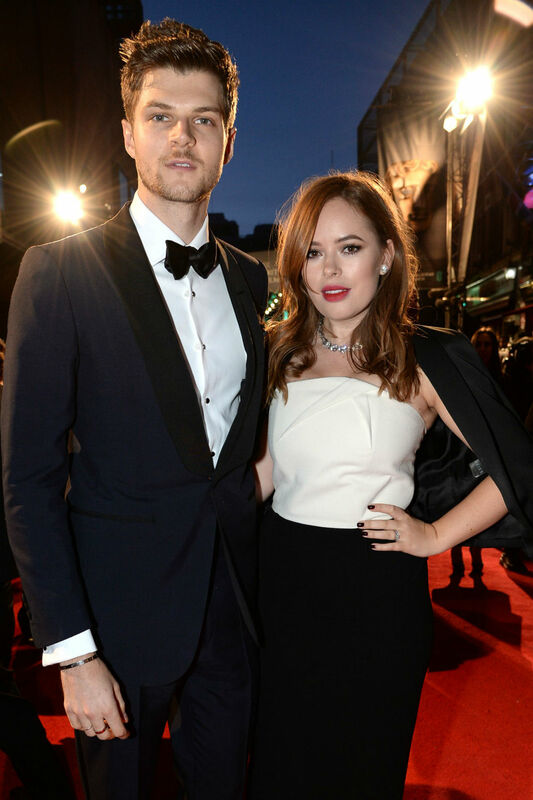 Super vloggers Jim Chapman and Tanya Burr (who were married late last year) also took off to the red carpet to show their love, with the couple wearing matching monochrome for the event. We’ll be hoping for a joint vlog about this event from these two. Funny couple Isla Fisher and Sacha Baron Cohen also took to the red carpet and looked like they were having lots of fun while doing so. The couple who laugh together, stay together, amirite? Matt Damon and wife, Luciana Barroso left the kids at home for a very public date night. The actor has been nominated for the Leading Actor gong for his role of Mark Watney in the comedic sci-fi film, The Martian which was directed by the legendary Ridley Scott. Want to catch up on the BAFTAs 2016 Best Red Carpet Moments? ‘Course you do!